Additional link references added by David Ratcliffe. Nuclear technology is the equivalent of acquiring on earth the technology of the heavens…. The deployment here on earth of nuclear reactions, a phenomenon occurring naturally only in heavenly bodies and completely unknown to the natural world here on the earth’s surface, is … a matter of deep significance. For all forms of life, radiation is a threat against which they possess no defense; it is an alien intruder disrupting the principles of life on earth. Our world on the surface of this planet, including life, is composed most basically of chemicals … and its cycles take place as processes of combination and dissolution of chemical substances…. Nuclear civilization always harbors in its womb a moment of destruction, like a ticking time bomb. The danger it presents … is of a kind completely unlike those we have faced before. And now isn’t it the case that the ticking of its timer is growing louder and louder in our ears? In the first stages of the crisis, its true nature was not fully reported even to the rulers of the U.S. At an early stage, “From data collected by an unmanned Global Hawk spy plane, the U.S. realized that temperatures in the reactors were extraordinarily high. It reached the conclusion that ‘the nuclear fuel had already melted down’ and pressed its Japanese counterparts for accurate information.” In the early morning of March 16, with this information still being withheld from the public, the U.S. issued a threat: “We’ll issue an emergence evacuation order for all 90,000 Americans in Tokyo to leave Japan. Do you really want to plunge Tokyo into panic?” In response, the Japanese government finally yielded to a second American Occupation: it permitted the dispatch of a large number of U.S. specialists to crisis headquarters. The radioactive material rode the winds a few dozen meters above the ground, brushing against the ground as it moved. This is why its distribution responded to the pattern of such geological features as basins and hillsides…. The village of Iitate was exposed to severe contamination around 6:00 p.m. on March 15. That evening, the wind blowing at the Fukushima plant changed from the southeast. For Fukushima prefecture, this was the moment it became an evil wind. A highly radioactive plume reached Fukushima City around 7:00 p.m. and Kōriyama City around 8:00 p.m…. It then crossed over the old Shirakawa barrier and moved into Tochigi prefecture, reaching Nasu and Nikkō. “It was raining at this time in the northern parts of Gunma and Tochigi prefectures, causing hot spots with high accumulations of radioactive material to form.” This is because the particles of radioactive cesium are so small that gravity alone will not make them fall: they typically will descend to the ground only if it rains. On the morning of March 21 the wind was blowing from the north. In areas downwind from the Fukushima Daiichi Nuclear Plant (including the Fukushima Daini Nuclear Plant and the cities of Kita Ibaraki, Takahagi and Mito), levels of airborne radiation suddenly spiked. What caused this abnormal jump? According to Tanabe Fumiya, an expert in nuclear power, at this same time the air pressure inside the pressure container of the No. 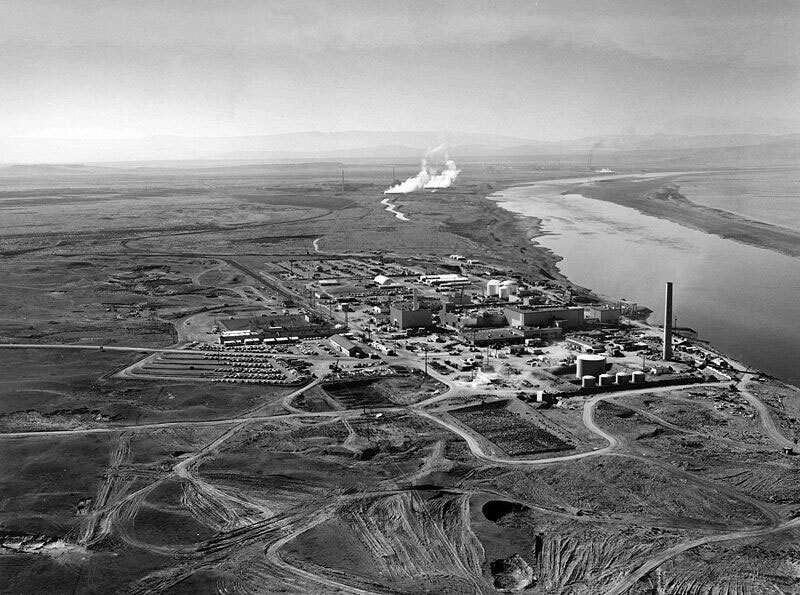 3 reactor, the one that used MOX (a mixed oxide fuel containing both plutonium and uranium), suddenly soared to 110 times the normal level. Because of this extremely high pressure, it was no longer possible to add cooling water from outside; as a result, the damaged fuel rods in the reactor once again went into meltdown, and the resulting build up of steam led to an explosion. The molten remnants of the fuel rods then breached the pressure container and leaked to the floor of the containment vessel. 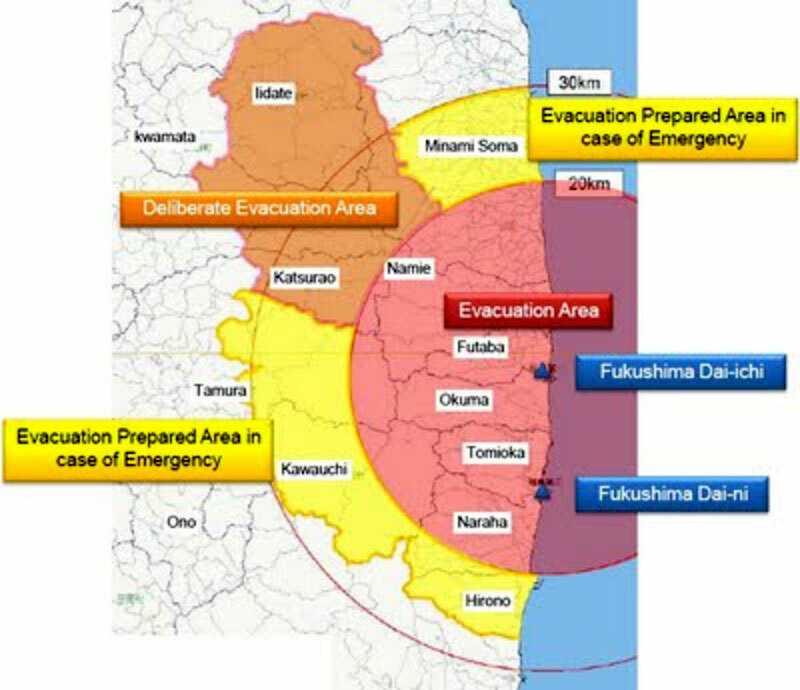 Tanabe concludes that the blast caused some of the radiation to escape the reactor, leading to contamination of the downwind region, an area extending from the interior of Fukushima prefecture to Kita Ibaraki. On March 23, a new plume formed, moving southwest from the coastal areas of Ibaraki through Chiba prefecture. During this period, most of the Kantō region saw several days of rain, resulting in accumulations of radioactive materials on the ground across the region. In April, the Japanese Ministry of Education, Culture, Sports, Science, and Technology (MEXT) and the U.S. Department of Energy jointly conducted an extensive survey, measuring levels of soil radiation from elevations of 150-700 meters above the ground. They released a detailed map showing the distribution of contamination. Accumulations of cesium 137 (thirty year half-life) exceeding 600,000 becquerels per square meter indicate a level of contamination equivalent to that of areas subjected to mandatory evacuation during the Chernobyl accident; the April survey revealed that the area reaching this level of contamination covered some 800 square kilometers, mainly in Fukushima prefecture. (In Japan, however, these reports were underplayed out of fears they would lead to mass evacuations of residents). This is an area equivalent to 40% of the Tokyo metropolitan area—or 1.2 times the size of Lake Biwa, the largest freshwater lake in Japan; it was roughly 10% of the size of the mandatory evacuation zone put into effect after the Chernobyl accident. In the town of Ōkuma, home to the Daiichi plant, all twelve locations exceeded twenty millisieverts, with seven of them exceeding 100 millisieverts. The highest recorded level, 508 millisieverts, was recorded in the Koirino district of Ōkuma, about three kilometers southwest of the plant. This level represents the equivalent of a 500-year dose at the estimated maximum tolerable annual radiation exposure for the general population of one millisievert. In contaminated regions, places showing critically high levels of radioactivity are called “hot spots”; these results made it clear that almost the entire area within twenty kilometers of the plants consisted of hot spots. Hot spots were discovered in many parts of the capital city, too, with its population of thirty million. Kashiwa in Chiba Prefecture is a suburban bedtown of Tokyo. The city is located some 200 kilometers from the Fukushima nuclear plant, but a soil sample taken from a roadside in an upscale residential neighborhood a two-minute walk from the JR Kashiwa commuter train station gave a radiation reading of 53,000 becquerels, exceeding the results found in Fukushima City. In the Chernobyl accident, this figure would have resulted in the location being declared a mandatory evacuation zone. On June 10, in the largest tea-growing region of Shizuoka prefecture, some 370 kilometers from the nuclear plant, harvested tea leaves were found to be contaminated with radiation, and shipments of Shizuoka tea were halted. 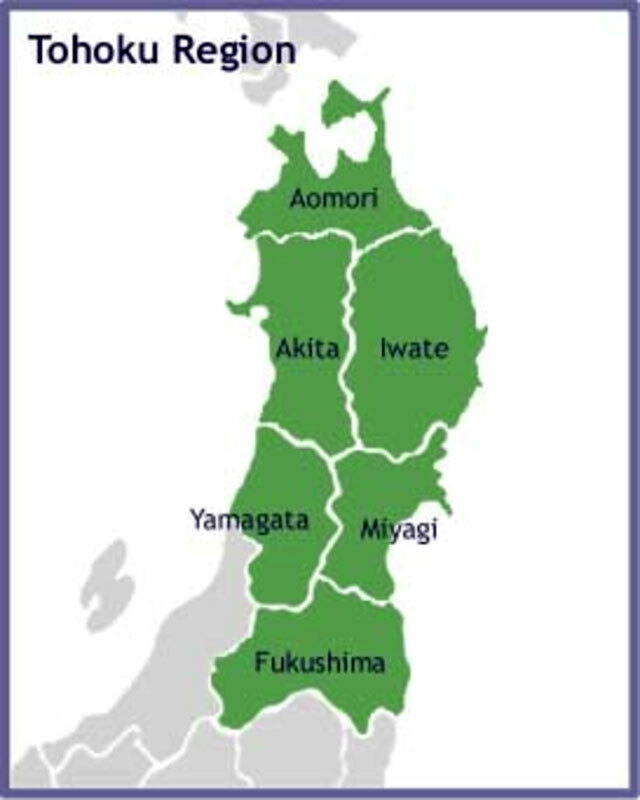 Pastures in Ichinoseki in Iwate prefecture, 170 kilometers from the plant, were found to have cesium levels more than three times the provisional limit. In July, widespread contamination of hay being fed to beef cattle was confirmed, and on July 25 radioactive cesium was detected in wheat and rapeseed from Fukushima. Concern mounted about the possibility of contamination spreading to the rice crop. The leaked radiation quickly crossed international boundaries and drifted across the globe. Radioactive material emitted from the plant March 12-16 was captured in the ascending air currents that accompanied the low pressure system and rode the jet streams to the east at a speed of 3,000 kilometers a day. 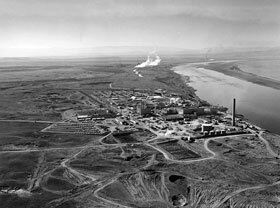 They reached the U.S. on March 18, and traces of lethal plutonium were detected across the West Coast. Fukushima’s nuclear disaster was now a global nuclear disaster. 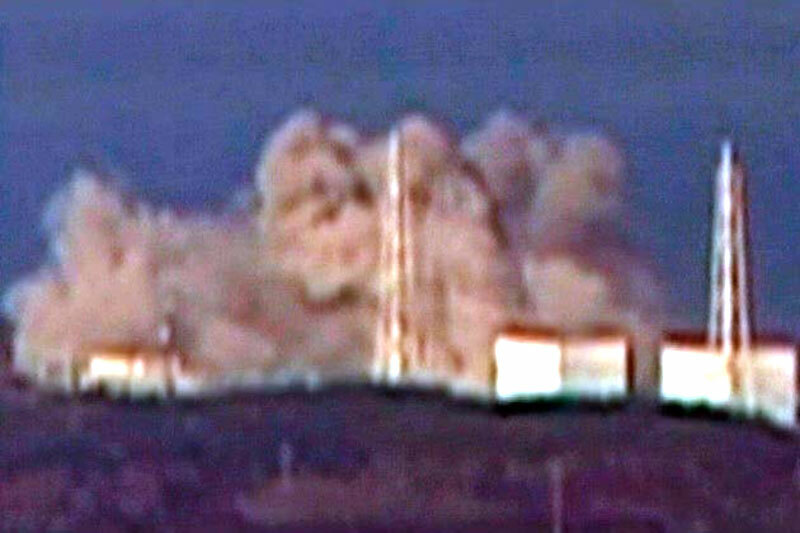 Since the explosions that breached their housing structures, the reactors have been exposed to the open air, and they continue to leak radiation. On March 15, the highest level of emission was recorded: 200 tb/hour (tb=terabecquerel; one terabecquerel = one trillion becquerels). After the initial crisis, levels began to decline on March 21, and the average emission level for May dropped to 0.0002 tb/hour (two billion becquerels) and for June to 0.001 tb (one billion becquerels). By June, the level dropped to 1/200,000th of what it had been on March 15. How much radiation was released into water (including cooling water in the plant, underground water, and the ocean)? As of July 20, the amount of contaminated water accumulated in the four reactor buildings and turbine structures totaled approximately 96,000 tons. If we add to this the 22,000 tons transferred from the reactor structures to central waste processing facilities at the plant, the total amount of contaminated water now accumulated inside the plant is 117,000 tons. TEPCO estimates the total radiation in this contaminated water at about 800,000 tb; if this figure is close to being correct, it means that the amount of radiation in this on-site water is roughly equal to the total amount released into the atmosphere—a massive contamination of water. The situation is different with the 800,000 tb emitted into plant cooling water. From the total of 117,000 tons of contaminated water, it has been reported that 520 tons were discharged into the ocean outside the plant, producing a radiation leak of 4720 tb. If this information is accurate, this means that 99.6% of the contaminated water, including 99.4% of the total radiation that has been emitted into water, remains inside the plant facility and is not believed to present an immediate threat to the environment outside the plant. Moreover, the estimated figures give no information about what will happen with radioactivity released into the atmosphere or ground. Eventually, nearly all of the radiation released into the atmosphere will fall to the surface to be absorbed into the ground or ocean. Radiation that settles on the ground in Japan will be washed away by rain into rivers that ultimately flow into the ocean. Clearly, in the long term most of the radiation released into the atmosphere will end up being absorbed into the ocean. It seems inevitable that through these multiple routes, radiation levels in the ocean will rise, accelerating the biological concentration of radiation, which will in turn gradually move up the food chain to concentrate in the bodies of larger fish and, finally, human beings. Cesium is a particularly worrisome radioactive material: with a half-life of thirty years, it produces particularly severe and long-lasting contamination of foodstuffs and soil. If we use only cesium 137 as our comparison point, preliminary figures released by the government indicate that 15,000 tb were emitted from Fukushima; this amount corresponds to the equivalent of 168 Hiroshima nuclear blasts. Not only has Fukushima seen the release of radioactivity equivalent to dozens of Hiroshima-class atomic bombs, but the rate at which that radioactivity will decrease is one hundred times slower, Professor Kodama testified. [See Also: link to transcript translation]. In Hiroshima, by contrast, most of the radioactive material used had a short half-life. In addition, on September 17, soon after the bombing, a typhoon struck the city, leading to floods about a meter deep across the entire blast area; as a result, much of the radioactive material was washed away into the Inland Sea. Within a half year of the bombing, residual radiation levels in the city had decreased to levels enabling safe habitation. In the 35 years between 1945 and 1980, the U.S., USSR, France and China carried out atmospheric nuclear tests that also released radioactivity. How do these compare to Fukushima? These atmospheric nuclear tests represent the greatest instances of radiation release in human history. [See A Time-Lapse Map of Every Nuclear Explosion Since 1945] The period from 1950 to 1963, in particular, saw a competition between America and the Soviet Union to produce ever larger hydrogen bomb test explosions on the Bikini Atoll and Semipalatinsk sites. The after-effects of radioactive contamination from these linger today [Eg, see • 16 Million Radiation Deaths and Counting - Why should we continue to destroy ourselves by this kind of mentality and this kind of process? (1989), • About Eighty Thousand Cancers in the United States, More Than 15,000 of Them Fatal, Attributable to Fallout from Worldwide Atmospheric Nuclear Testing (2002), • Poison Fire, Sacred Earth, Testimonies, Lectures, Conclusions, The World Uranium Hearing Salzburg (1992), • Worse Than We Knew (1997), • Victims of The Nuclear Age (1999), • Silent Bombs: All for the Motherland (2010), • No Immediate Danger? Prognosis for a radioactive earth (1990)]. In the 543 atmospheric tests carried out, 3,000,000,000 tb of radiation were released—a total 580 times that released in the Chernobyl accident. This is equivalent to 1900 times the total radiation leak from the reactors in Fukushima. In recent years, global rates for the incidence of cancer have risen sharply, and it seems likely that these past atmospheric tests are one cause. We may still be suffering from the after-effects of the history of atmospheric testing. According to Sakuma, the levels of contamination for those two regions were on par with those found up to fifty kilometers northwest of the Fukushima power plant. What is the total volume of radioactive material (nuclear fuel) accumulated at the Fukushima Daiichi Plant? In the case of Chernobyl, the accident involved only the No. 4 reactor, which contained 200 tons of nuclear fuel. In comparison, at Fukushima the six affected reactors and cooling pools for spent fuel rods contain 2,000 tons, or roughly ten times the amount of nuclear fuel that was involved in Chernobyl. At present, only 0.2% of the total radioactivity of the plant’s nuclear fuel has leaked into the atmosphere or plant cooling water, but even at this limited level, the radiation leak has already reached one-third the scale of the Chernobyl disaster. Additional aftershocks, deliberate attacks on the plants (including the possibility of terrorism), or human error could further damage the Fukushima reactors. If only 1% of the accumulated radiation were to escape in such an incident, it would amount to a leak of 7,200,000 tb, making it the worst nuclear accident in history, exceeding even Chernobyl (5,200,000 tb). A “recycled water cooling” system has been set up to avoid having to use large quantities of fresh water. If the system functions as planned, radioactive cooling water will be decontaminated and then recycled to cool the reactors. The system uses equipment from France’s Areva and the U.S.’s Kurion companies, and on August 16 this was supplemented with a “Sally” adsorption filter for radioactive cesium produced by Toshiba. But between June 1, when the system was put into operation, and August 9, it was only able to operate at a cumulative 66% of projected capacity. The total volume of contaminated water treated as of August 9 was a mere 42,000 tons, with an additional 120,000 tons sitting untreated underground beneath the turbine housing structures and elsewhere. Effective decontamination of radioactive water involves an operation in which chemicals are first added to cause it to sediment, after which the remaining radioactive material is removed by adsorbent agents. The radiation level of the contaminated sediment produced through this process is more than 100 times higher than that of highly contaminated cooling water—a substance so dangerous it can only be handled by remote control. Let’s assume the most favorable possible outcome: no massive aftershocks or armed attacks, and the successful production of a reliable cooling water recycling system that is able to fully re-circulate decontaminated water back into the plant. This would mean an end to the nightmarish prospect of unlimited generation of more and more contaminated water. But the decontamination process will also produce a large quantity of highly radioactive sediment day after day. For example, the Toshiba “Sally” operates by running radioactive water through a tower filled with zeolite, which decontaminates water by adsorbing the radioactivity of the cesium in it. But this will result in the daily production of large amounts of dangerously radioactive zeolite. According to data released by the Ministry of Internal Affairs and Communications on July 27, as of October, 2010—that is, before the disaster—Fukushima prefecture had a population of 2.3 million. After the nuclear accident, earthquake and tsunami, 46,000 persons evacuated to locations outside the prefecture. If we included those who evacuated to areas within the prefecture this figure would of course be larger, but for the present it represents about 10% of the number evacuated after Chernobyl. Fukushima will likely follow not the path of Hiroshima, but rather of Chernobyl: ongoing contamination of ground and seas over the long term, with chronic low-level exposure to internal radiation. 5. It is recommended that populations living within the 100km zone to the North West of the site are immediately evacuated and the zone is made an exclusion zone. What would happen if the Korean War, paused now under the terms of a still temporary ceasefire, were to erupt back into open combat? “Nuclear plants cannot be defended militarily from armed attack. Accordingly, the nuclear plants spread along Japan’s coastline are in effect nuclear weapons in the hands of a hypothetical enemy…. Once its nuclear plants come under armed attack, the land of Japan will become permanently uninhabitable,” declared retired nuclear engineer Ogura Shirō, who concludes, “The presence of nuclear plants render it impossible for us to defend ourselves in case of war.” This is a crucial fact: if the Korean War were to explode into open combat again, the utterly vulnerable Fukushima Daiichi Plant would inevitably present an ideal target; this state of utter vulnerability will continue for decades into the future. Takahashi Tetsuya, a native of Fukushima, puts the problem in the following terms: “If it is true that emperor-system militarism was the core of Japan’s wartime political order, then isn’t it just as true that the doctrines of AMPO and nuclear power have formed the core of Japan’s postwar political order?” This is a very sharp observation. AMPO and the nuclear plant network of public works that supports it: this system permits electric utilities to push onto the market relatively high electricity prices that cover their costs and provide a fixed profit, and it is also the basis of political fundraising for both the Liberal Democratic Party and the Democratic Party of Japan. In the Old Testament, the following passage appears: “Then the Lord answered Job out of the whirlwind, and said, Who is this that darkeneth counsel by words without knowledge?.... Hast thou commanded the morning since thy days; and caused the dayspring to know his place?” In the coming years, this question will be our own cross to bear, as we seek to find a new way of life. Takagi Jinzaburō, Cherunobuiru genpatsu jiko shinsōban (Tokyo: Nanatsu Mori Shokan, 1986). Ko Sanmyon and Takahashi Tetsuya, “Nihon no ariyō ga towarete iru,” Sekai (August, 2011), p. 112. Yomiuri Shinbun (August 17, 2011). Asahi Shinbun (July 10, 2011). Hayakawa Yuki, “Hōshanōgumo wa kono yō ni zujō wo tsūka shita!,” Shūkan Kinyōbi (July 8, 2011), p. 22. Nihon Keizai Shinbun (July 25, 2011). Asahi Shinbun (August 8, 2011). Asahi Shinbun (May 11, 2011). Asahi Shinbun, evening edition (August 20, 2011). Shūkan Gendai (August 6, 2011), pp. 64-65. See also the interview published in the July 30 issue of the same magazine with the University of Ulster’s Christopher Busby, scientific secretary of the European Committee on Radiation Risks (ECRR). Mainichi Shinbun (July 26, 2011). “Beikoku made hirogatta purutoniumu,” Norimatsu Satoko’s interview with Christopher Busby, Shūkan Kinyōbi (July 8, 2011), pp. 24-25. Asahi Shinbun (July 29, 2011). Asahi Shinbun (July 21, 2011). Nakachi Shigeharu, “Suisan no osendo wo yomitoku,” Shūkan Kinyōbi (July 29, 2011), p. 18. Nihon Keizai Shinbun (August 27, 2011). Yagasaki Katsuma, “Naibu hibaku kakushi ha hōshasen giseisha kakushi,” Nihon no Kagakusha, Vol. 46, No. 8 (August 2011), p. 6. Kakuheiki Kakujikken Monitaa, Vol. 373, No. 4 (April 15, 2011). “Sakuma Tomoko Shabekurihōdai,” Oruta, No. 429 (August 2011), p. 38. Hirokawa Ryūichi, “Cherunobuiru no nazo no ame,” DAYS JAPAN (July 2011), p. 43. This estimate comes from the ECRR’s Christopher Busby. See Shūkan Kinyōbi (July 8, 2011), p. 25. Ashahi Shinbun (June 11, 2011). Nihon Keizai Shinbun (August 17, 2011). Asahi Shinbun (June 10, 2011). DAYS JAPAN (September 2011), p. 18. Christopher Busby, “The Health Outcome of the Fukushima Catastrophe.” A Japanese translation is also available. Tanaka Toshiyuki, “‘Genshiryoku heiwa riyō’ to Hiroshima: Senden kōsaku no tāgetto ni sareta hibakushatachi,” Sekai (August, 2011). Ogura Shirō, “Genpatsu wo narabete jiei sensō wa dekinai,” Kikan Ribureiza, No. 3 (Summer 2007). Mainichi Shinbun (June 17, 2011). King James Version, Job 38:1-2, 12, and the source of the title for Pearl S. Buck, Command the Morning (1959).